ErgoTop two component patented rubber grip for maximum comfort and turning power. Raised handle relief design generates micro air chambers for a better grip, even with wet hands. Rounded shape at end of wrench fits comfortably in the palm of your hand where most pressure is applied. Drop forged from Chrome Vanadium steel for reduced wear and longer life. Metric measuring scale on jaws for easy jaw presetting and sizing of nuts, bolts, pipes etc. Non-protruding jaw shank provides better accessibility in tight spaces. Thinner, longer jaws give improved access. Perfectly parallel jaw surfaces ensure nuts are gripped firmly. Precision ground jaw slides ensure smoother action and accurate adjustment. Double security: Threaded pin and visible stake prevent knurl from working loose. Individually inspected to guarantee total customer satisfaction every time. Manufactured according to the most stringent International Standards and exceeding ISO 6787, ASME B107.8 and DIN 3117. 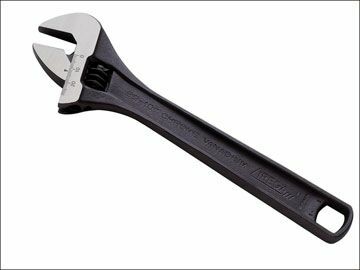 Widest opening 6in adjustable wrench on the market. Opens as wide as a 12in adjustable wrench and fits in your pocket. 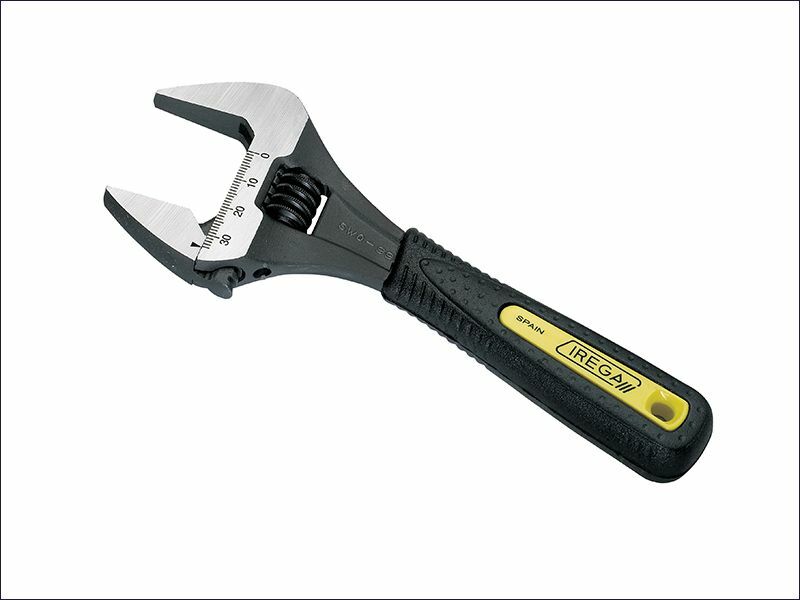 Reduced weight: 205 grams – 68% lighter than standard 12in adjustable wrenches.